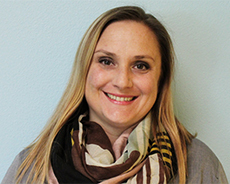 As a licensed Marriage and Family Therapist, Jennifer joins us with over 10 years of experience working with youth and families in both school and outpatient settings in the Bay Area. She has training in supporting LGBTQ youth, managing difficult behaviors of tweens and teens, depression, anxiety, self-harm, crisis intervention, substance abuse and trauma focused therapy. Jennifer works to build a collaborative, compassionate and client-centered relationship and believes in the capacity for change and growth. She enjoys supporting youth and their families as they navigate this important and sometimes curvy road of development.